Hold on to your hats, East Coasters. It's not over yet. Hurricane-force winds are whipping up snow and freezing rain across the Northeast, as the biggest storm of the season yet continues barreling it's way northwards on the Atlantic. Parts of New York could see a foot of snow before it's all over, while Boston is getting slammed with a wall of freezing water larger than residents have seen in decades. Fountains in Georgia went solid, while in the nation's capital, the President saw snow in his backyard. 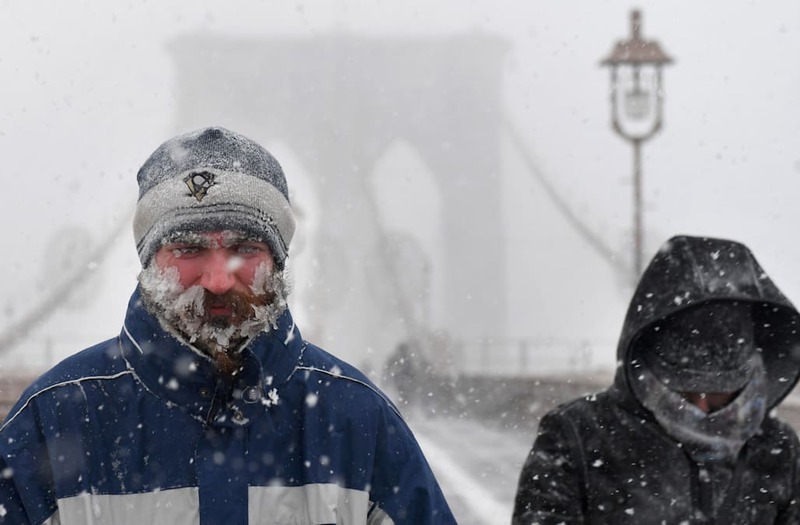 Meteorologists say that the storm — which has been dubbed a "bomb cyclone,"— is experiencing "bombogenesis," with low air pressure creating an especially strong storm. Take a look at what's been happening.